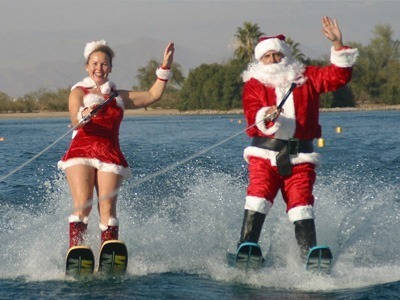 Founded and operated by Susan Talarico, a Phoenix and Scottsdale, Arizona real estate agent specializing in waterski properties, Waterski Arizona aims to be an effective educational tool about Waterski communities, events, and lifestyles around not just Arizona, but the entire country. Susan is a lifelong athlete, much of it quite by accident. She is also the wife of a crazed auto enthusiast, Mom of twin boys that are addicted to motocross, and a REALTOR® that is owned by a pair of skiing Jack Russell Terriers. Growing up in a Catholic household in North Tonawanda, NY (a suburb of sunny Buffalo and Niagara Falls) Sunday was always reserved as "family time." The day would start with Mass and then off to the convent in Niagara Falls to visit her Aunt, Sister Joyce. As the youngest of three girls, she managed to escape Catholic school as a youngster. Once Mom and Dad figured out that the fear of nuns did not exist among their children because they were routinely spoiled by the nuns on Sunday afternoon, the cost effectiveness of public school made more sense. Later she would choose a Jesuit university, Canisius College, for her college education. Chosen for its strong business program, it is a decision that Susan looks back on as one of the best choices she could have made. Although no longer a practicing Catholic, she highly recommends the Jesuit tradition of education, humility and service. In the summer, Sundays were spent on Lake Erie at Uncle Carl’s cottage... with the nuns! Of course they were all called "Auntie" and once they arrived at the cottage they scurried inside to remove their penguin suits and don short and t-shirts. In the late '60s and '70s nuns were required to be in their "habits" and gowns when in public. In today's world, they are discouraged from wearing them so that they blend with the general public to better serve them. Spending time on a large and unforgiving body of water such as Lake Erie, learning to swim was essential as was learning a fearful respect of water. Most people are aware of riptides in the ocean, but few people understand the dangers of undertows in the Great Lakes or the swift currents of the Niagara River. Back then, water skiing was a mysterious anomaly that very few people did. Those that water skied held a Rock Star status. In the winter months, family recreation was a bit more difficult to come by in snowy Western New York. One of those Sundays landed the family at Rainbow Roller Rink in North Tonawanda, NY. Susan's father, Jerome, spent much of his youth skating there. On a whim, it seemed like a fun thing for the family to give a whirl. At 5 years old Susan’s Mom was holding one arm and Dad holding the other. After several hours of crashing, falling, whining and what would be considered child abuse in today’s world, the Kubiniec family left the skating rink with three pairs of roller skates and a commitment to skating lessons. Mom and Dad had no idea what they had gotten into. Several years and many dollars later, Susan became a National Champion and later a coach to a few National Champions. During the infamous Blizzard of '77, another athletic accident occurred. Once again, we can blame this on Dad. A friend had enticed Dad to go snow skiing and bring the girls. Susan's two older sisters had already taken up skiing with the ski club at school, so the family loaded up the car and headed to the local ski area of Kissing Bridge. With perfect conditions and snow falling all day, no one even had a clue that is was the beginning of the largest blizzard Buffalo, NY had ever seen. Once again, Susan was hooked. The following year she skied with the school ski club. Several years later she would become an instructor at Holiday Valley Resort in Ellicottville, NY. This would be the same place where her Jack Russell Terrier, Jackee, became known as Jackee the Ski Dog. The vibrant terrier was featured on America's Funniest Videos, Animal Planet, TV Tokyo and several local news media outlets. In 2012, she received her award for 20 years of service with the Professional Ski Instructors of America. So, where does the water skiing begin you may ask? In 1985 Susan was dating a young man that was a snow skier and water skier. He was getting ready to do a water ski show with some friends for a local festival and they needed one more girl to climb the pyramid and ski the flag line. Since she was a proficient skater and snow skier, he was confident that she could do it despite never having water skied. Again, the accidental athlete takes on a new sport. Susan has been consumed by water skiing ever since. She has participated in traditional 3-event skiing and barefooting, but her passion lies in show skiing. The majority of her ski time is dedicated to swivel skiing, but on any weekend you may catch her ripping through the slalom course, carving it up on her trick ski, shredding on the wakeboard with her boys or getting rad with some barefooting. Her jumping days are behind her as she took her last water ski jump on her 40th birthday at a tournament at Lakeside Ski Village. However, she was the 1996 New York State Women's Jump Champion. Susan also has several regional championship placements in swivel skiing with several appearances at the National tournament. Her personal best National placement in swivel skiing has been 6th place. In 1999, Susan relocated to Scottsdale, Arizona along with her Ski Nautique. After a rather hair raising experience on one of the public lakes in April of that year, she was determined to find a better and safer option to ski. For 2 ½ years, she skied at Buchli Lake, a private tournament lake in the East Valley of Phoenix. Although it was great fun, she longed to be at a place where she could be an owner. 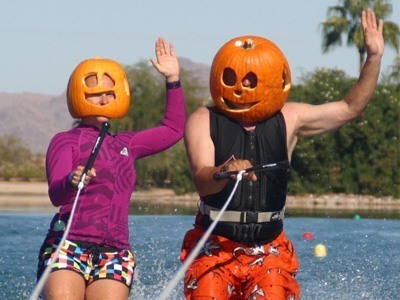 In March of 2001, Susan and Luigi purchased a water ski home at Lakeside Ski Village on the west side of Phoenix. It has become her personal Prozac and favorite place to escape the hustle and bustle of the daily grind. It is far enough out of town to feel like you are getting away every weekend, but close enough should you need to be able to conduct business on the weekend. Of course, in the same tradition that she was raised, Sunday is family day. It is extremely rare to find Susan taking time away from her family on a Sunday. Susan has been a full time REALTOR® since 1999, living and working in Scottsdale, Arizona. She is well connected in the water ski community on a local and worldwide level. She is a homeowner at Lakeside Ski Village in Gila Bend, AZ. 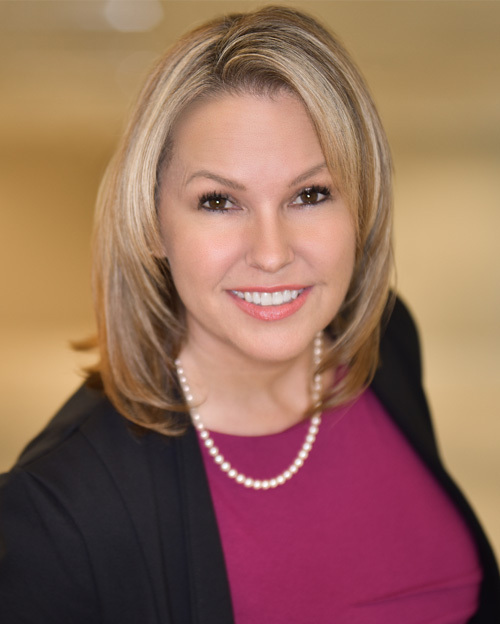 Working with Russ Lyon Sotheby's International Real Estate, an international, luxury real estate firm, she still finds time to participate in tournament water skiing and philanthropic endeavors.